Element Push Bike Magnesium 2.0 Sepeda Anak adalah sepeda anak berbahan full magnesium frame yang didesain kuat, awet, dan tahan lama. 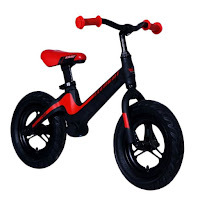 Sepeda anak ini sangat baik untuk keseimbangan serta menguatkan otot-otot kaki pada anak, dan cocok untuk anak umur dibawah lima tahun. Balance Bikes are sized for beginning riders, as young as 18 months, and adjust as children grow, offering up to 4 years of use from one bike. 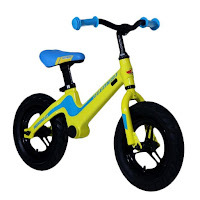 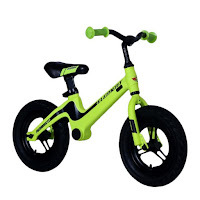 They are lightweight and simple, focusing on the fundamental skill development of balancing on two wheels. 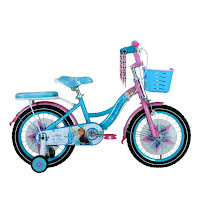 The ability to ride a bike is a milestone of childhood. Balance Bikes are helping millions of children all over the world reach this milestone earlier than ever before. Once your child has mastered pushing, striding, and riding the transition to a bike with pedals will come naturally to them. Balance Bikes are also often referred to by any number of other terms, such as toddler bikes, running bikes, baby bikes, or no pedal bikes.